Another week, another IC2S Playlist update! It was pretty hard to narrow down what I wanted to play this week, and I can imagine that next week won't be any easier (especially since I have discovered a new, awesome artist so I always get pretty excited when that happens). First up is "Think" by Kaleida. If you ever have seen John Wick (and if you haven't, then rectify that mistake immediately), then you'll recognize this as the rather hypnotic pop song at the start of the incredible "club scene". I was listening to the John Wick soundtrack and thought that it was a really cool song. It feels somewhat minimalist to me, it's very deliberate and not overblown, but still manages to be very catchy. Kaleida doesn't have a lot of music yet (they don't even have a Wikipedia page yet), but if they can keep putting out stuff like "Think", then I might just become a fan. 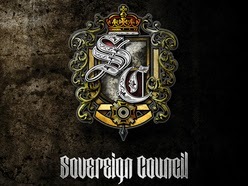 Secondly, we have "Reminiscence" by Sovereign Council. I chose this song for a couple reasons. Firstly, I actually knew and went to school with a couple of the guys in Sovereign Council, and I like to support local artists - especially when they put out epic power metal like this. Secondly, they just put their new album, Laniakea, up for pre-order. I'm pretty damn stoked for it. New Reign was pretty fantastic for an indie debut album, and now that they've matured quite a bit and made the band a bit leaner, I think that Laniakea will be even better. I can only hope that they make it big. As for "Reminiscence" itself, I really dig it (obviously). I think that there are a few songs on the album which are better than it overall, but it's the killer dueling guitars near the end which really sell it to me. My one criticism of the band would be that their lyrics can be a little lame at times, but their musicianship in this song in particular feels very professional and accomplished. Check 'em out!